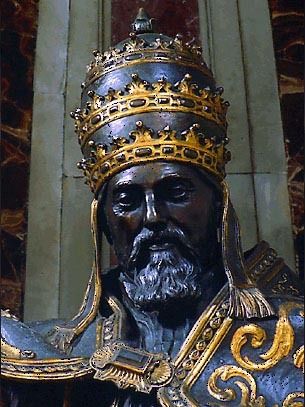 The great patron of Bernini, whose Barberini Bees can be seen throughout St. Peter's, Urban VIII was also the pope that forced Galileo to recant. 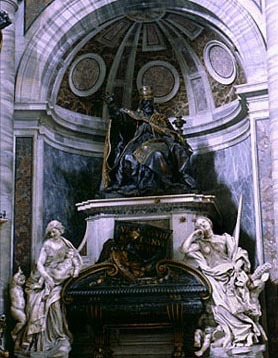 This monument to Pope Urban VIII by Bernini is a pyramidal layout similar to the tomb of Pope Paul III though more harmonious. 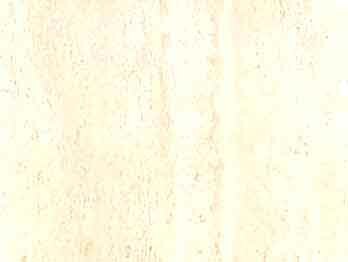 A tall, white marble pedestal supports the bronze figure of the Pope giving a blessing. The figure on the left with the children is Charity, Justice is on the right with the sword and scale. Bernini used a skeleton to represent death for the first time on this monument. The skeleton has written the name of the deceased on an unfolded scroll. The bees of the Barberini family coat of arms is displayed here while individual bees have been placed on the monument. These bees can bee seen throughout St. Peter's Basilica. Flanking the tribune on the right is the tomb of Urban VIII (1623-1644), the masterpiece of sepulchral art of the 1600's. This also is one of the glories of the great Bernini, who finished it in 1647, three years after the death of his Maeceas. Powerfully conceived and with breadth of form, the figure of the Pope appears in a rich cope, his hand raised in blessing; the white marble figures of Justice and Charity, sculpted with a Greek lightness of touch, seem to be less allegorical figures than real women, leaning with languid grace on the sarcophagus of black marble, from which was to be sadly spoilt in the mannerism of the 18th century. The tomb of Urban VIII was the first purely sculptural work into which Bernini introduced colour by using different materials. Colour for him was never a merely decorative device, but essential for illuminating the meaning and significance of his ideas. Here decorative elements of the sarcophagus, the figure of death, and the papal statue, i.e. the parts directly concerned withthe deceased,are of dark partly gilded bronze. Unlike these with their magic colour and light effects, the white marble allegories have a distinctly this-worldly quality. By their whiteness, too, they form a transition between the observer and the papal figure which, by virtue of its colour alone, seems far removed from the sphere of the beholder. Any yet this pope with the powerful gesture of benediction commands all our attention. It was under Urban VIII that Galileo Galilei (d.1642), although a personal friend, was condemned for a second time and forced to renounce the Copernican system under threat of torture (1633). Urban VIII consecrated the new St. Peter's Basilica on November 18, 1626, and commissioned the famous sculptor and architect Gian Lorenzo Bernini (d.1680) and other artists to beautify the basilica and the streets and piazzas of Rome. He selected Castel Gandolfo, some fifteen miles southeast of Rome, as a summer residence. In a bull date April 22, 1639, he prohibited slavery of any kind among Indians of Brazil, Paraguay, and the entire West Indies.